Affected by the global economy and China`s macroeconomic control, since 2012 China`s economic growth started to slow down, entering an adjustment period of weak growth. During this period of adjustment, “Reformation and Transformation” is the main theme of China`s economic development. Reformation concerns political system and economic system reform and transformation involves the change of economic and industrial structure, environmental impact transition, and urban and rural structure change. What does 2012 mean to China lubricant industry A trough A turning point Or a new start Public opinions are divergent, while the lubricant industry is still in development. In 2013, China`s economy is going to witness a crucial year. China lubricant industry will also face the entire industrial upgrading and development opportunity brought by the reformation and transformation of the market. As the most professional, authoritative and largest international exhibition in China lubricant industry, China International Lubricants and Technology Exhibition (Inter Lubric China) has received great support from organizers: SINOPEC Lubricant Company, PetroChina Lubricant Company, and Council for the Promotion of International Trade Shanghai, and co-organizer Shanghai Lubricant Trade Association. Inter Lubric China has been successfully held annually in Beijing, Guangzhou, Shanghai over the past 13 years, attracting over 1700 exhibitors, more than 60,000 professional attendees including manufactures, dealers, distributors and end users, with about 60 seminars and conferences in total. It is the wind vane of the China lubricants industry development and regarded as a must-attend annual event for lubricant professionals. 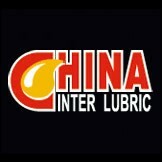 As the biggest annual event of lube industry, Inter Lubric China is ready to greet 2013 with the whole lubricant industry in the main theme of “Development in Transformation, Prosperity by Diligence”.